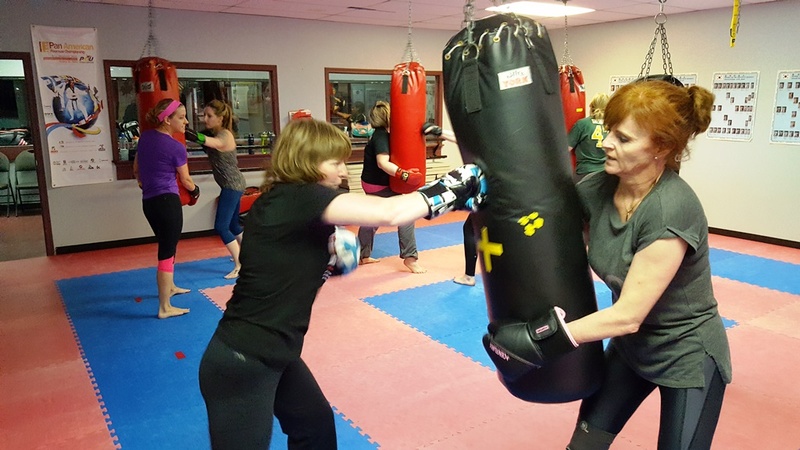 Core Kick-boxing™ - Register Now for 2019 Sessions in St. Albert, AB. 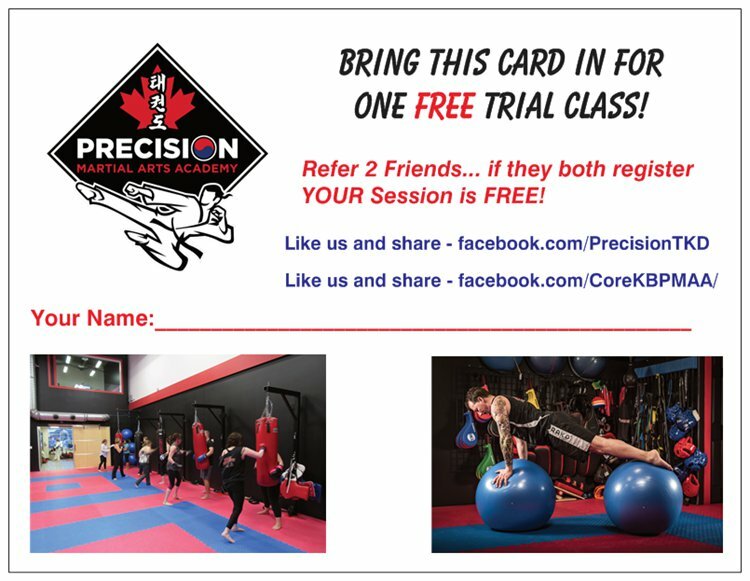 Exclusively at Precision Martial Arts Academy (PMAA) in St. Albert, AB., Core Kick-boxing™ has evolved over 23 years to become the most FUN, DYNAMIC and RESULTS DRIVEN fitness training system integrating Kick-boxing and Taekwondo applications with metabolic fitness, core / athletic conditioning for all levels and abilities. 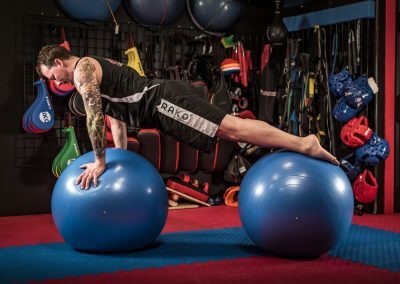 “Never the same class twice!” Training equipment such as heavy bags, muay thai pads, focus pads, speed bags, kicking shields/paddles, bosu, wobble boards, skipping ropes and TRX are utilized every session along with footwork, circuit/interval training and so much more! As intense as you want it to be with many modification possibilities to suit various levels and abilities. 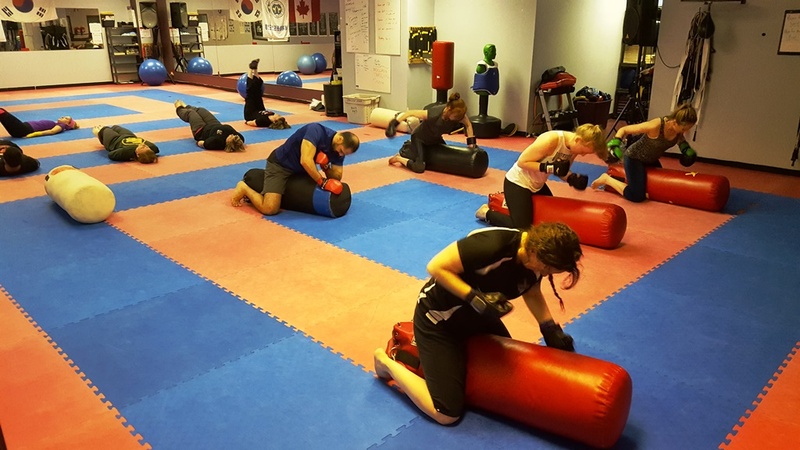 The FUN and high level fitness that participants experience each and every week is merely indescribable. 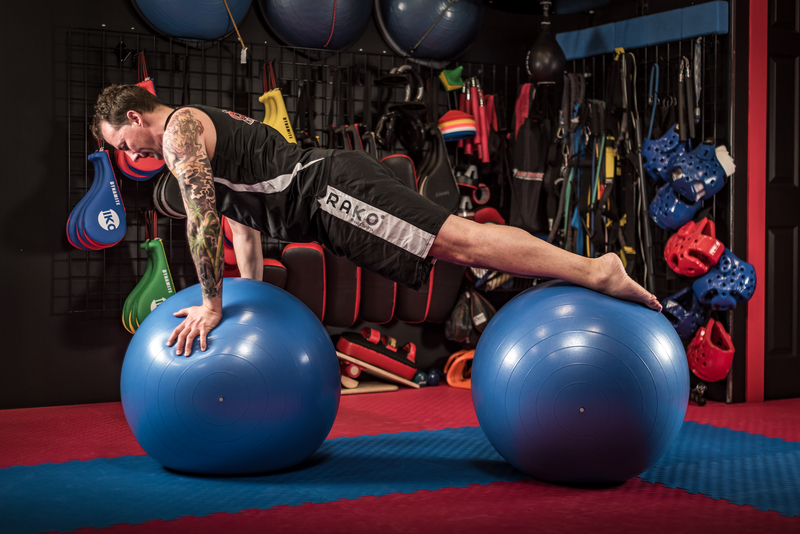 We can proudly say that some of our Core Gang have been training for up to 14 years straight session after session. Must be a mature 16 years of age and older to participate and must have a parent actively training with you, due to the mature training content and class dynamics. 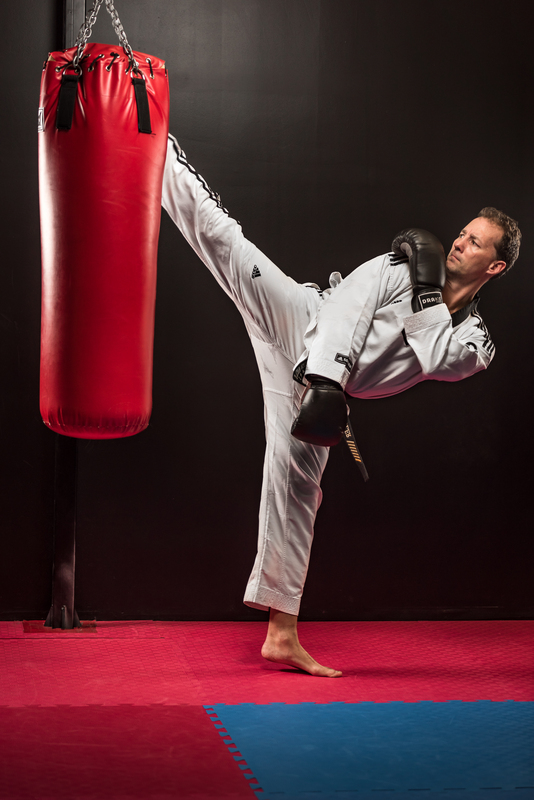 PMAA’s Core Kick-boxing™ Program was created and developed by Master Derek Sadler, ChPC, PFT, a Chartered Professional Coach, Certified Personal Fitness Trainer, Certified Fitness Instructor and Certified 7th Dan Black Belt in Taekwondo and Owner/Master Instructor at Precision Martial Arts Academy. Master Sadler (Derek… aka. D-Rock, aka. Derelique) is well known for his high energy, contagious enthusiasm and passion for teaching and helping others become successful by setting realistic goals and achieving them. 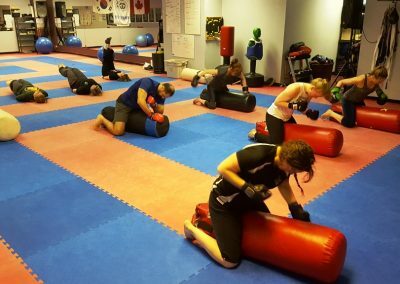 A healthy, active lifestyle that you will stick with because Core Kick-boxing™ is a FUN, challenging and progressive Group Fitness class where everyone feeds off the contagious enthusiasm and energy that every participant brings each and every class. 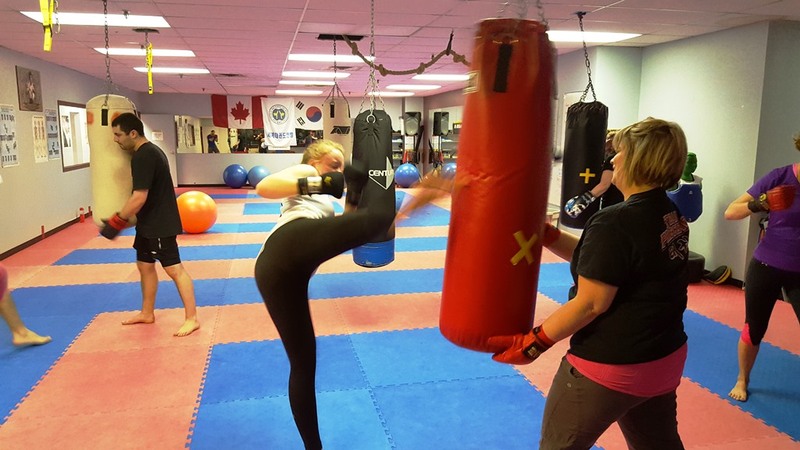 Technical proficiency (KNOWLEDGE), application (SKILL) and understanding (CONCEPT/THEORY) of punching, kicking, kneeing and elbowing for not only our weekly workouts, but more importantly… for self-defense and SURVIVAL if ever needed! Heavy bag gloves will be provided for class use, however… it is recommended that class participants purchase their own for comfort, safety and personal hygiene. Classes are non-transferable and non-refundable except under extreme cases that must be addressed personally with PMAA. Classes are not interchangeable. This means if you are registered for only Monday nights and you can’t make it to your class, you are not permitted to simply come on Wednesday night to “make up for it.” You are responsible to make it to your classes. You are paying for a spot on the floor that is being taken away from someone else who may want in. PMAA reserves the right to dismiss any participant from classes with NO REFUND if their behavior is disrespectful or disruptive to fellow class participants or if Instructor’s instructions are not being followed or adhered to. 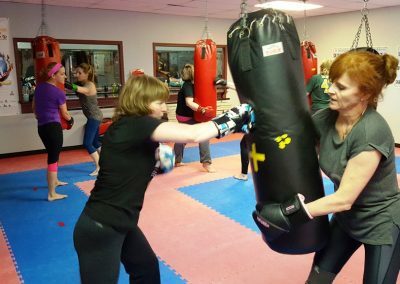 MONDAY NIGHTS @ 7:00 to 8:00 p.m.
Monday Night Classes will return in September 2019. WEDNESDAY NIGHTS @ 7:00 to 8:00 p.m. NOTE: Derek will be away in Korea May 28 to June 10, 2019. There is NO CLASS on June 19! 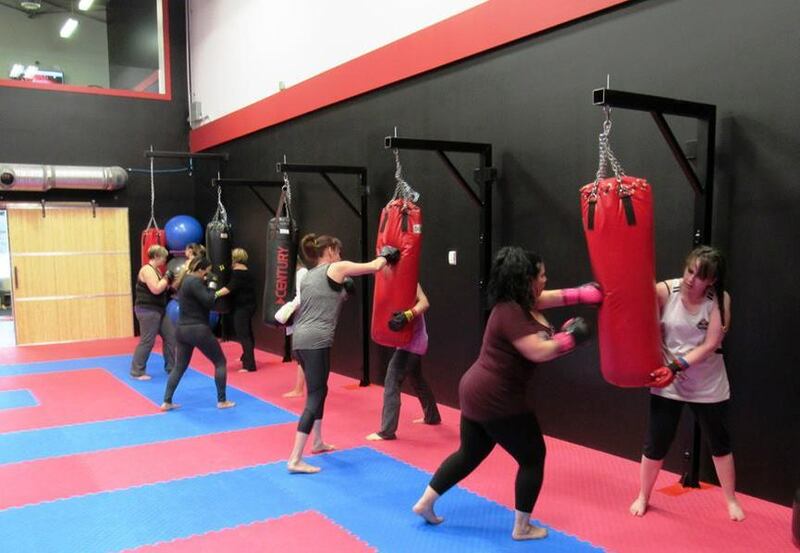 An oldie but goodie… click here to watch a fun sample of our Core Kick-boxing™ class in action.